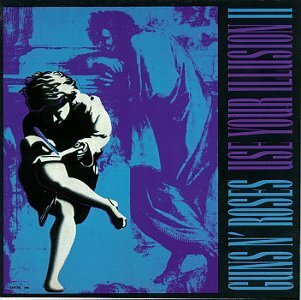 Use Your Illusion II is the fourth studio album by hard rock band Guns N' Roses. It was one of two albums released in conjunction with the Use Your Illusion Tour, and as a result the two albums are sometimes considered a double album. Bolstered by lead single "You Could Be Mine", Use Your Illusion II was the slightly more popular of the two albums, selling 770,000 copies its first week and debuting at #1 on the U.S. charts, ahead of Use Your Illusion I's first week sales of 685,000. Both albums have since been certified 7x Platinum by the RIAA. It was also #1 on the UK Albums Chart for a single week. The album has received some acclaim in 2011, being featured on Triple M Radio's Life-Changing Album series in Australia, with the station playing numerous tracks with commentary.